This new trailer for Call of Duty: Advanced Warfare explores, in Michael Bay fashion, two sides of the game that we've not talked about too much up until this point. In between music hits and press quotes, the first half of the clip features all of the story driven content we'll see in the game. There's plenty of Kevin Spacey, which I might be abnormally excited for, and there's suggestion that this might be one of the more epic affairs from the Call of Duty series as of late. The second half of the trailer shows off the cooperative mode. Now, I'm not sure whether the campaign will have a co-op experience, or we'll see cooperative play in a completely separate mode only, but the trailer shows four combatants using their Exos and perks to absolutely decimate computer controlled enemies. 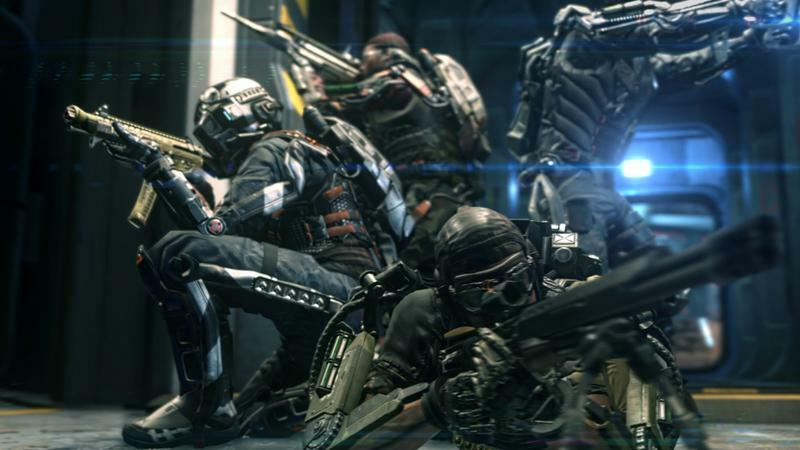 Call of Duty: Advanced Warfare will hit the Xbox One, PlayStation 4, Xbox 360, PlayStation 3 and PC platforms on Nov. 4. While I did the preview a few months back, our own Eric Frederiksen is slated to do the review near release.